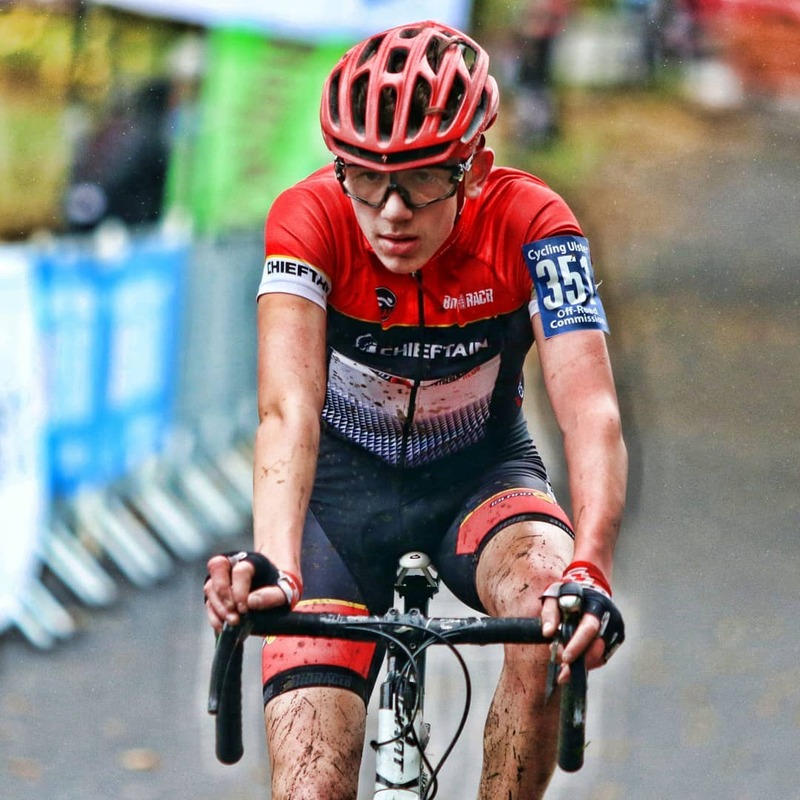 Lara Gillespie has taken a very strong result on the British elite cyclocross scene. And she did it on very little sleep. The 17-year-old European track champion was at the Cycling Ireland annual awards last night, picking up female rider of the year. After her late night she was on the 6am flight out of Dublin, headed to York for the fourth round of the HSBC National Trophy Series. 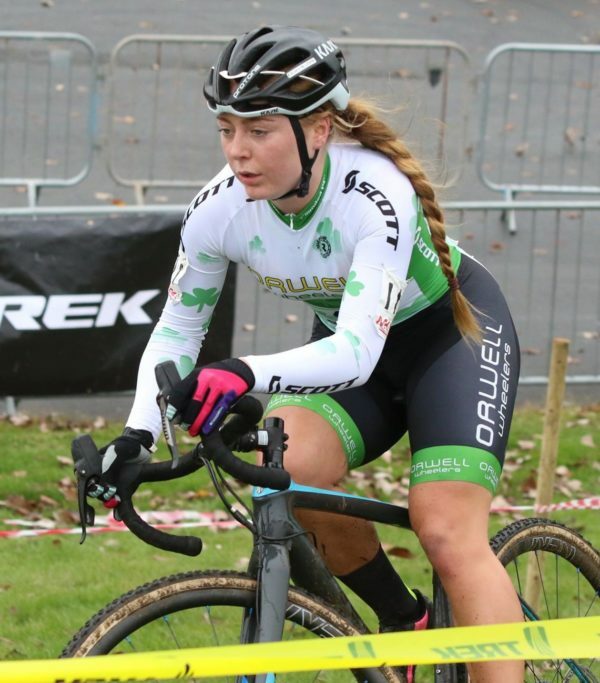 Gillespie was part of a four-ride Team Leinster selection, riding the combined elite-U23-junior race with Stephanie Roche. 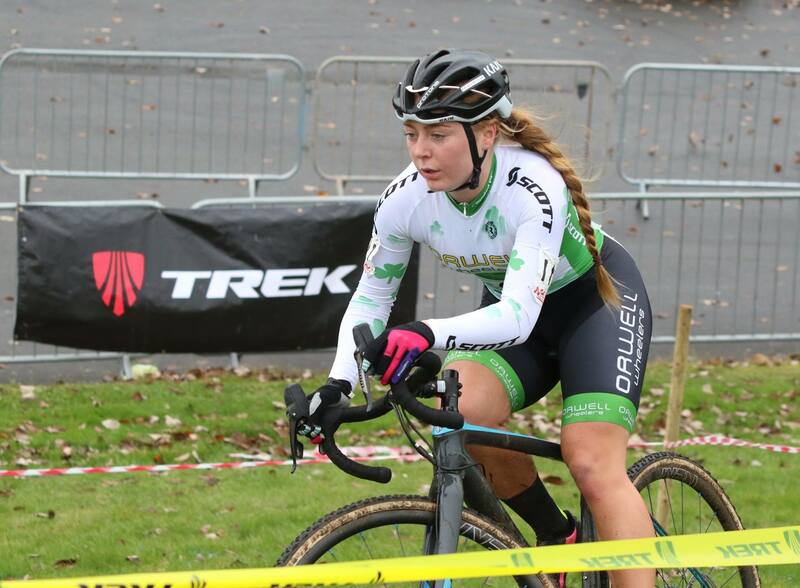 Two other Irish juniors were also in the race; Lucy O’Donnell riding for O’Leary Stone Kanturk and Darcy Harkness competing as part of a Cycling Ulster selection. And in the U16 race Caoimhe May and U14 Irish champion Annie Roche were lining out having also gained provincial selection for Leinster. In the UCI-ranked elite race, Gillespie was 6th across the line. She was also second junior and was 3rd in the combined U23-Junior race within the combined event. The only junior rider to finish ahead of Gillespie today was Harriet Harnden; the British junior champion winning the combined elite-U23-junior event. The T-Mo Racing rider prevailed after a race-long battle with Eileen Roe (Dooleys Cycles), a pro and international rider on the road who has been British circuit race champion. Lucy O’Donnell rode very well to place 16th. Darcy Harkness and Stephanie Roche were a solid 36tj and 37th respectively. Another excellent result for the Irish, and clearly a young man to watch, came from Darren Rafferty. In what were very testing conditions against the best teenagers in Britain, the Island Wheelers man took 10th place. 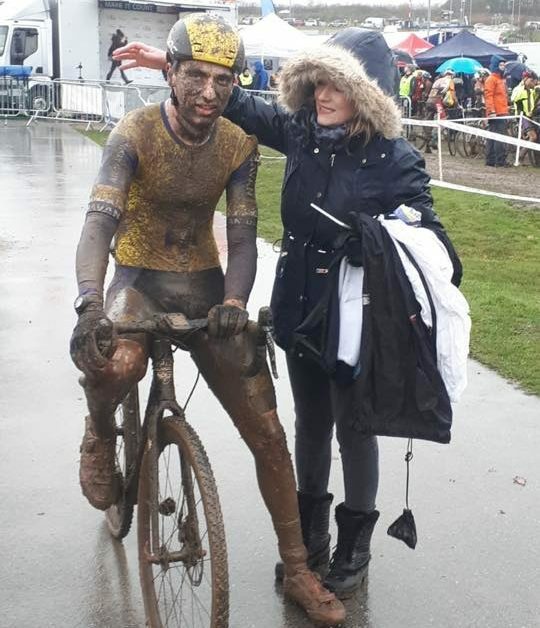 And he did so from a huge field, with some 75 finishers and no shortage of abandons on a very muddy day. In the elite men’s race, Ireland had two riders in action; both McConvey Cycles riders. Graham Boyd was 24th and Thomas Creighton 26th of 55 finishers. The race was won Belgian Gianni Siebens (Young Cycling Talent D&D) from compatriot Yorben Van Tichelt (Neon-Velo Cycling) and British veteran Nick Craig (SCOTT Racing). In the men’s junior race, Irish rider Sean Nolan of Navan Road Club was 22nd. He was gridded last yet picked off most of the field. The Meath teenager only missed being comfortably inside the top 20 after falling with 500 metres to go. Donal Walsh of AAA Cycling was 33rd in the same junior men’s race. Ciaran Dickson and Paul Antione Hagan of Cycling Ulster were 37th and 44th respectively. The men’s junior contest was won by Simon Wyllie (Halesowen A&CC) from Harry Birchill (Mid Devon CC) and Tom Couzens (Zappi Racing). Annie Roche was 22nd in the U16 event and Caoimhe May was 31st.